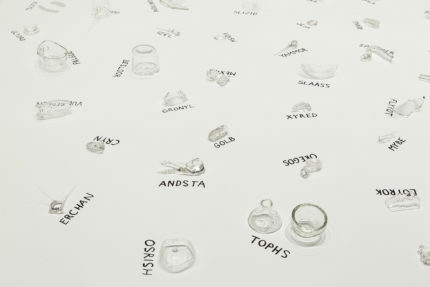 Dimensions: 8" x 240" x 120"
Approximately 300 glass fragments stretch out across a large tableau with each piece having been named with a corresponding invented word. 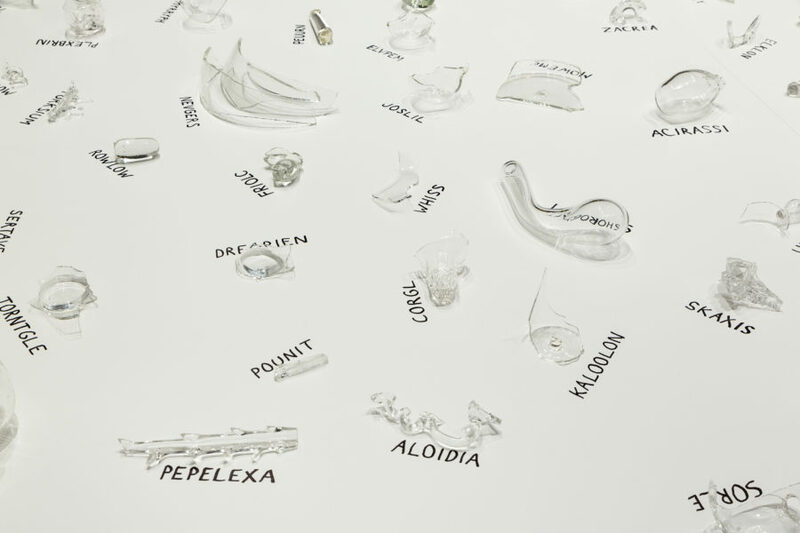 The artist has intuitively used what he thinks of as a shifting system in developing a sprawling lexicon for these glass shards—debris rejected from others’ glass works. 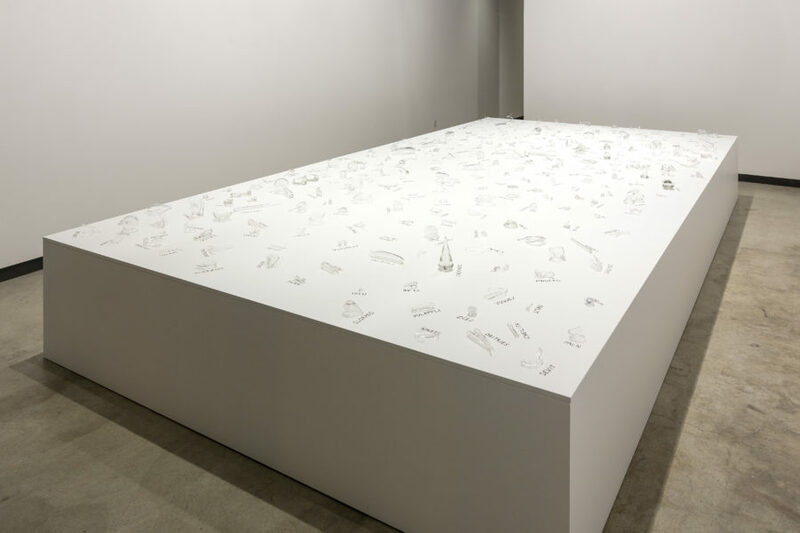 “Aloidia Piorm,” James Harris Gallery, Seattle, Washington, January 16 – March 1, 2014. 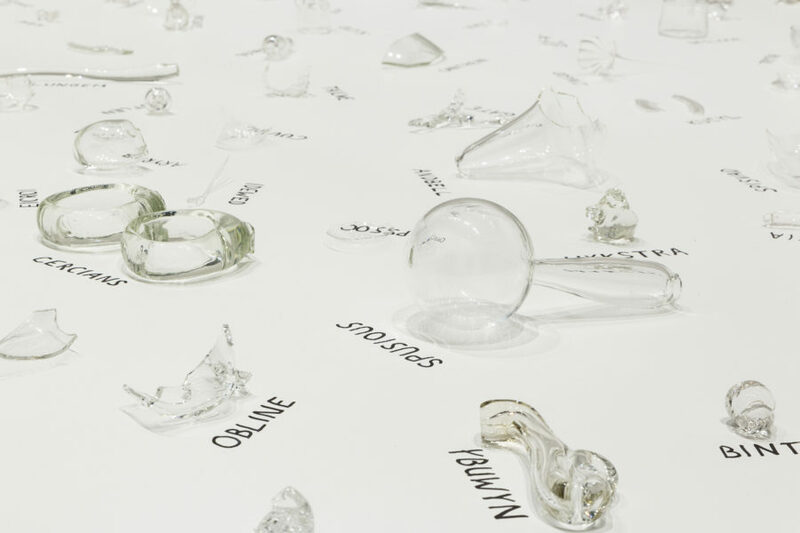 Kochi-Muziris Biennale, Durbar Hall, Kochi, India, December 12, 2016 — March 29, 2017.